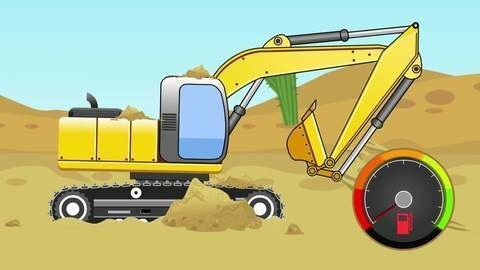 Today you will see how excavator has fun in the desert. A walk in the desert is interesting and trilling, but it may turn dangerous, especially if you run out of petrol! This is exactly what happened to the excavator. Hopefully its friends – race car and dump truck – will find the excavator! Watch full episode of this cartoon for children online for free at SeeZisKids.